The world—and your customers—are going digital. 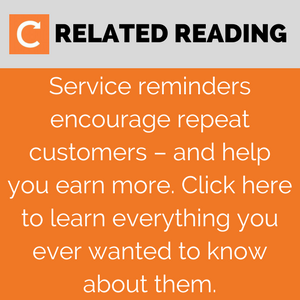 Is your field service business keeping up with them? In an era when customers are used to signing contracts on devices, getting updates on SMS, and receiving receipts via email, messy paper documents and inefficient business practices can make your company look behind the times. But you're too busy actually, you know, running your business to sift through the huge, ever-changing array of apps and programs that can bring that business up with the times. No more excuses. 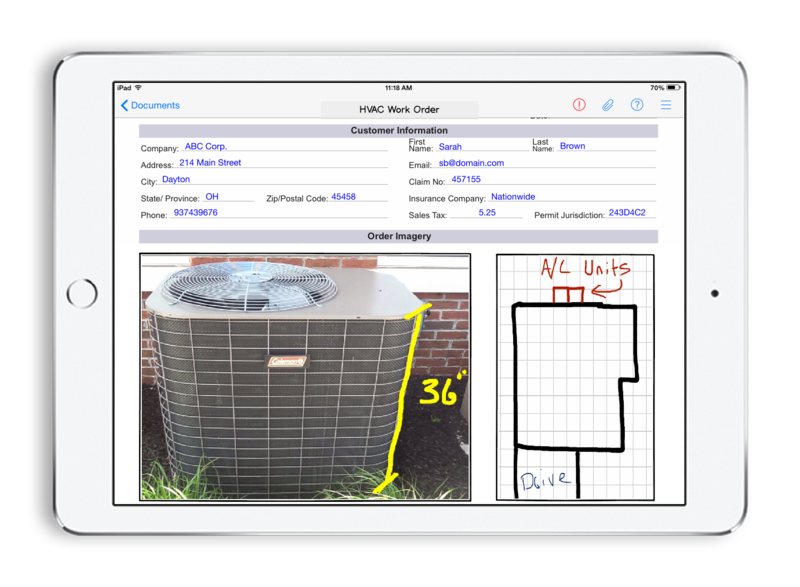 We talked with Nick Garrett, Product Executive at naturalForms, to cut through the confusion and get you the information you need to digtalise your HVAC, plumbing, or electrical business, so you can serve your customers better—and get more jobs. Know why you're going digital. Digitalise your pain points away. Market your new digital capabilities. Integrate your digital solutions for double the efficiency. Ready to modernise your business with the newest digital technology? Here are the details on each step. 1. Know why you're going digital. Internet business gurus are always shouting that we need to go digital. Sure, that's great—in theory. But without some good, industry-specific reasons why, and help creating and implementing a solid plan, we find it hard to dredge up the time and motivation to make it happen. 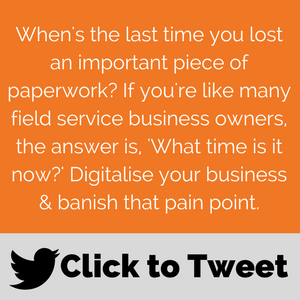 So we'll start with info about why you, as a field service business, would want to digitalise your business. Going digital makes you more productive. No one can deny that digital business processes are simply faster (way faster) than manual ones, once you get over the learning curve and make digital a habit in your business. 'The ability to do more things in real time, and at a high level, basically improves your overall business operations and the productivity of your field service team', says Garrett. Going digital enhances the customer experience. Imagine two scenarios. In Scenario #1, the customer waits impatiently for your engineer to arrive. Once the engineer finally arrives, they hand the customer a messy pile of papers with cost estimates and contracts, and ask the customer to sign the work order with a leaky pen. Then the engineer takes a look at the boiler and realizes they'll need a part they don't have—so they hand the customer yet more paper and head out the door. In Scenario #2, the customer tracks the engineer's trip to their house with a GPS app, so they know exactly when the engineer will arrive. The engineer has the customer sign the work order digitally and automatically emails them a copy. The engineer then takes a look at the boiler and realizes they'll need a part they don't have—so they order the part on their mobile device and let the customer know when it's scheduled to arrive. A new appointment is scheduled, and the customer receives a confirmation text the day before. Going digital is good for the environment. The equation is simple: More digital processes = less paper waste. Eco-minded customers flock to companies that use environmentally friendly business practices. Going digital saves you (and your customers) money. Going digital builds trust in your customers. You know your employees and engineers are proficient and trustworthy. What your customer sees, however, is that a strange person is in their home and is fiddling with a very expensive piece of equipment. That's a recipe for customer anxiety. Using digital processes to speed service, help your engineers work more effectively, and reduce costs gives your customers a sense of confidence and trust in your business. 2. Pinpoint your pain points. Knowing where your business processes are too slow, where your business is leaking money, and where you're losing opportunities (and customers) can help you determine what aspects of your business you want to digitalise, and how to go about doing it. Here are some of the common pain points we at Commusoft hear from our clients, and that Garrett has seen in naturalForm's customers. Pain Point #1: Paperwork disappears into the void. When's the last time you lost an important piece of paperwork? If you're like many field service business owners, the answer is, 'What time is it now?' 'Paper is not easy to manage and track, and that information doesn't get shared very easily across the different users and departments that need it', says Garrett. Pain Point #2: Your office staff has to do double data entry. In a non-digitalised organisation, data needs to be entered multiple times: Your engineers enter the information onto a paper form, then your office staff has to re-enter that exact same data into the CRM system, and maybe even again into the billing system. What a monumental waste of time—and money, since you're paying your employees for all the time they spend duplicating their work. Pain Point #3: Your office staff makes data errors. The more your staff has to enter data into different systems, the more opportunity there is for mistakes to slip through. The chances of, say, a zero magically disappearing from the price on a customer invoice is much higher in a non-digitalised business. Pain Point #4: The paperwork your engineers fill out is incomplete. On paper there's no such thing as a 'required field', so if your engineer doesn't have the information they need right there and then, they may simply leave that part of the form blank. The incomplete form later goes to the office staff, and ultimately leads to time wasted digging up the information you need to send purchase orders, order the right parts for the job, invoice customers, and generally get jobs done correctly and on time. Pain Point #5: It's difficult to provide customer satisfaction. Many field service businesses have to spend time digging up information customers need, answering their questions, and fielding customer complaints about late (or missing) engineers, jobs that are behind schedule, and more. 'Providing a high-level customer experience is a challenge for many field service businesses', says Garrett. Pain Point #6: Getting jobs is always a slog. Customers are what your business is all about. Seriously: Without customers you simply don't have a business. And yet, often the task of finding new customers and encouraging repeat ones falls through the cracks as business owners struggle with completing the jobs they already have, plus the accompanying paperwork. Figuring out your pain points may have been a—well, a painful practice. However, it will help make the actual process of going digital much easier. Here are the next steps. 3. Get set with devices. 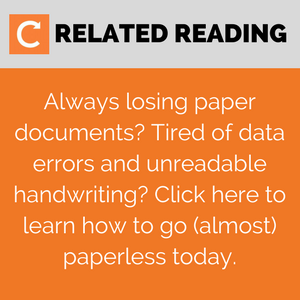 If your businesses is 100% paper-based, start simple with choosing devices for your engineers to use in the field. 'Even giving them a mobile device where they can just email things out at a basic level lets a business go digital without really implementing a digital solution.' For bonus points, set your engineers up with some simple apps that will help them work more efficiently. What is BYOD (bring your own device) and why is it important? Now let's start getting you some pain relief. 4. Digitalise your pain points away. If your pain point is: Getting jobs is always a slog. Try this: Find software and apps that help you attract and retain customers. For example, Commusoft lets you send automated service reminders so customers come back when it's time for regular maintenance, and also gives you the option to send follow-up messages to customers to make sure they're happy with their service and to request reviews. Also, you can use email marketing services like MailChimp (which integrates with Commusoft, by the way) to send newsletters, helpful information, and special offers to your customers and prospects. If your pain point is: Your office staff has to do double data entry or Your office staff makes data errors. Try this: Use solutions like naturalForms that automatically pull information from your backend system to prepopulate forms, collect digital signatures, validate data, and more. If your pain point is: Paperwork disappears into the void. These are just a few examples, but whatever your paint point is, we guarantee there's a digital solution for it. Search online, ask your business colleagues, or talk to the digital solution companies themselves to find the ones that are right for you, and to figure out how to implement them. 5. Market your new digital capabilities. 6. Integrate your digital solutions for double the efficiency. Integrating two or more apps can ramp up the power of your digital solutions. For example, Zapier is a freemium service that lets you create 'zaps' linking together two or more apps to create the automated workflows you want. For example, you can set up a zap so that when you receive an attachment to your Gmail account, it's automatically copied to your Dropbox and then you get a notification in Slack. We have even more good news for you now that you’re a digital devotee: naturalForms now integrates with Commusoft, so you can link your naturalForms templates to your Commusoft application. We include industry-standard certificates in the Commusoft app, but sometimes you may want to use unique forms that we don’t offer. That’s where this integration comes in: Create the digital forms you need on naturalForms, and you can pull your Commusoft customer details through to the naturalForms document and save the file as a PDF against a job. Read more about the integration here, or register for our upcoming webinar on how the Commusoft and naturalForms integration can help you by clicking below. Hope to see you there!